During the war the German army issued binoculars to some of their troops with specialised functions. 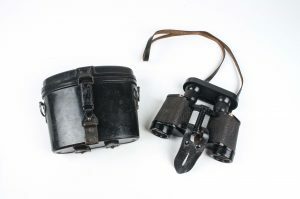 The Gruppenführer or group leader would have one for instance. These binoculars or Doppelfernrohr where expensive and strictly army property. These where therefor engraved with Dienstglas noting the army property. The most common type is the 6×30 strength Dienstglas. 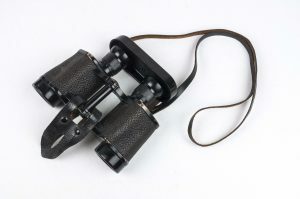 6×30 designates the capacity of the binoculars. 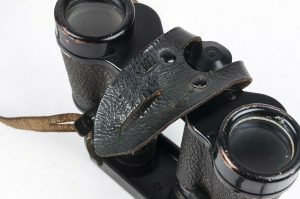 The first number (6) refers to the magnification and the second number (30) indicates the diameter of the objective lens (the light-gathering lens) in millimeters. 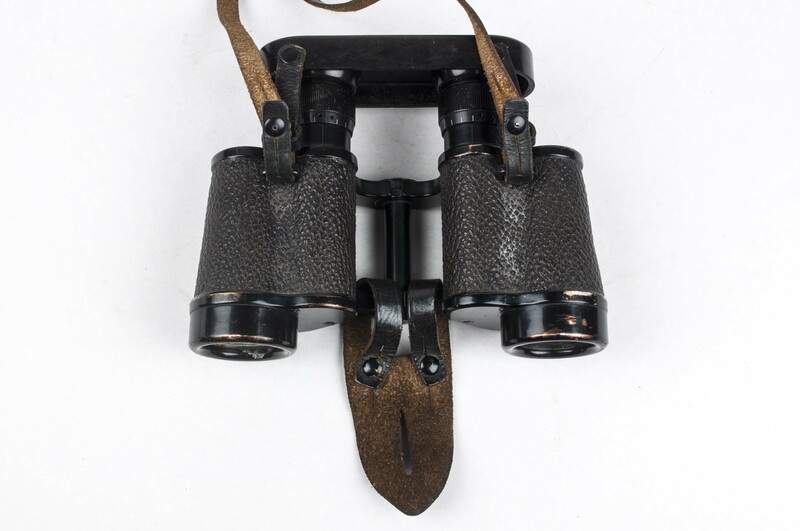 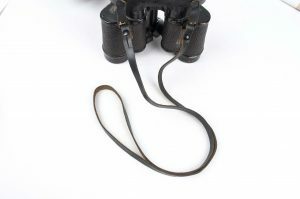 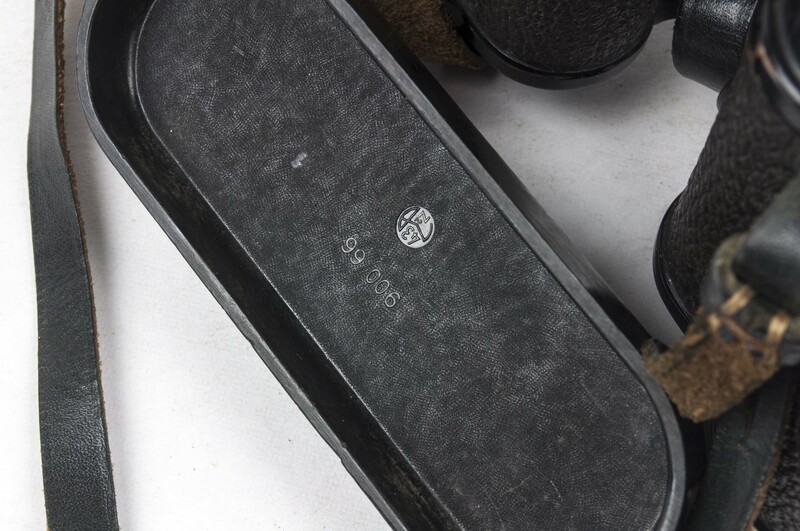 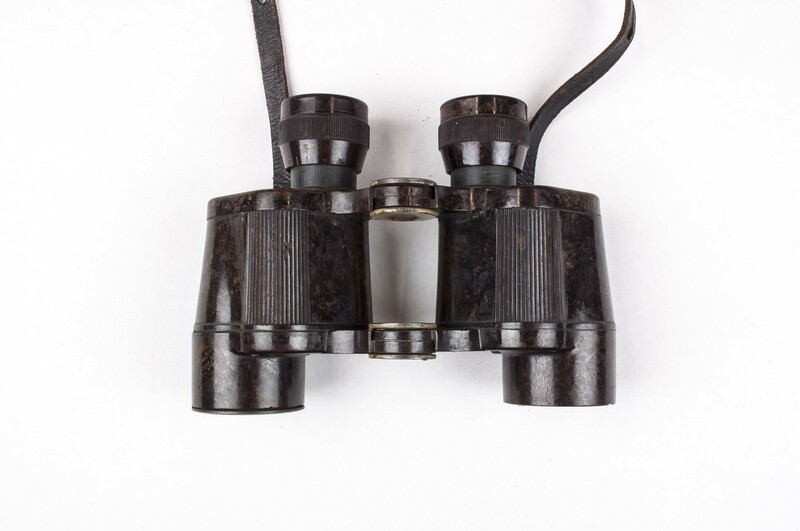 These binoculars where made out of different materials such as Aluminium, Zinc and Bakelite. 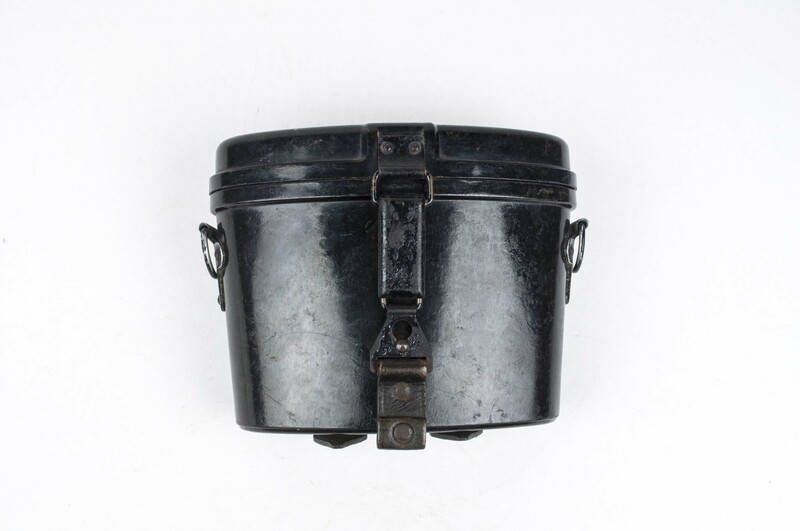 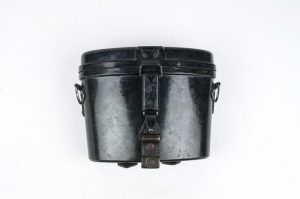 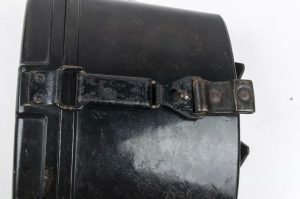 The metal ones where first furnished with a leather or pressed paper wrap and later in the war in different finishes such as Anodization, Paint or Bluing. 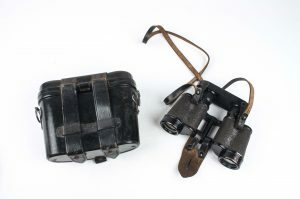 Later in the war binoculars where also finished in tan or Sandgelb paint. 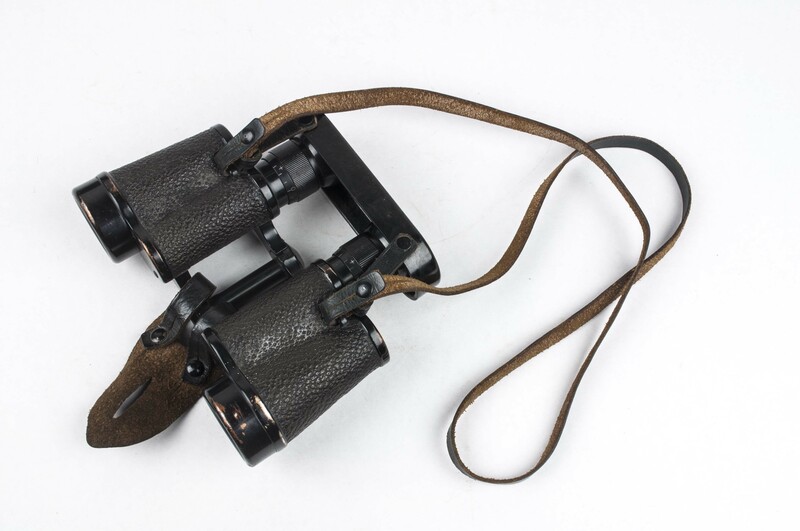 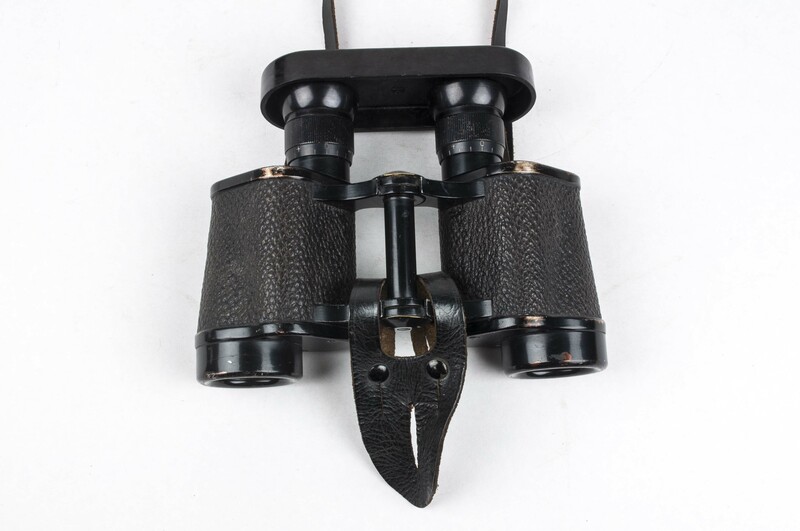 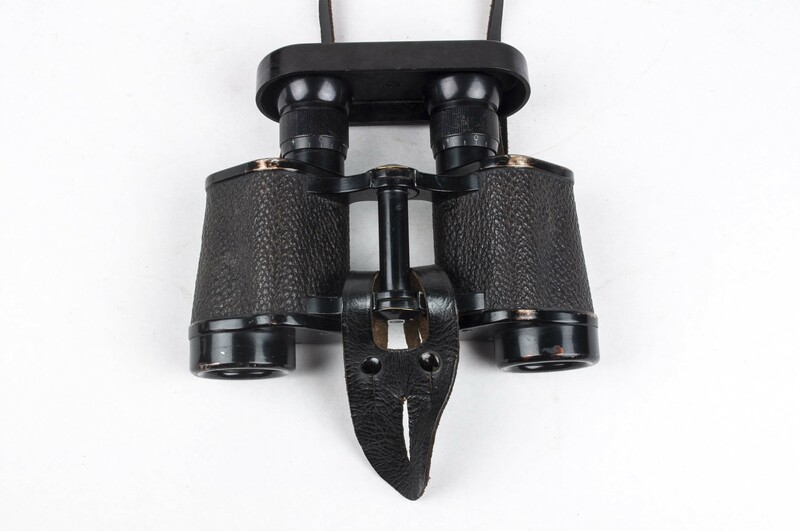 The binoculars have two adjustable eyepieces or Okulare with bakelite or aluminium end pieces. The right eyepiece features a reticle or Strichplatte in scale 6400 which is used to calculate distances. 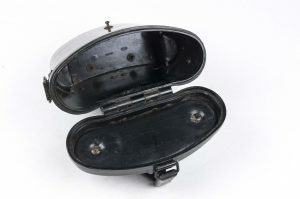 I will further discuss the use of this in another article that will be linked here. 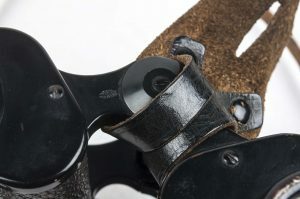 1 Trageriemen, a narrow leather string attached with two metal studs. 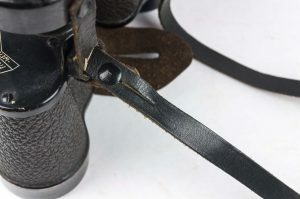 Sometimes these straps are adjustable with multiple stud holes but most of the time they are not. 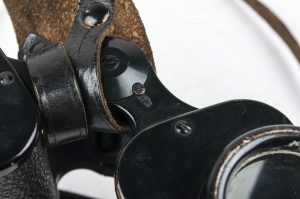 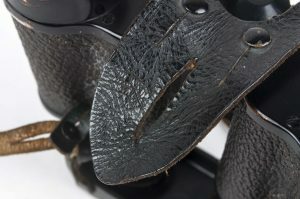 1 Okularschutz, a leather, bakelite or rubber eye shield cover to keep dirt out of the lenses. 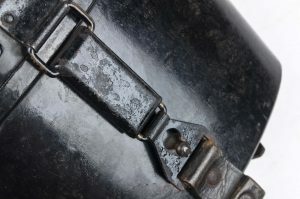 It is attached to the straps and often referred to as a rain shield. 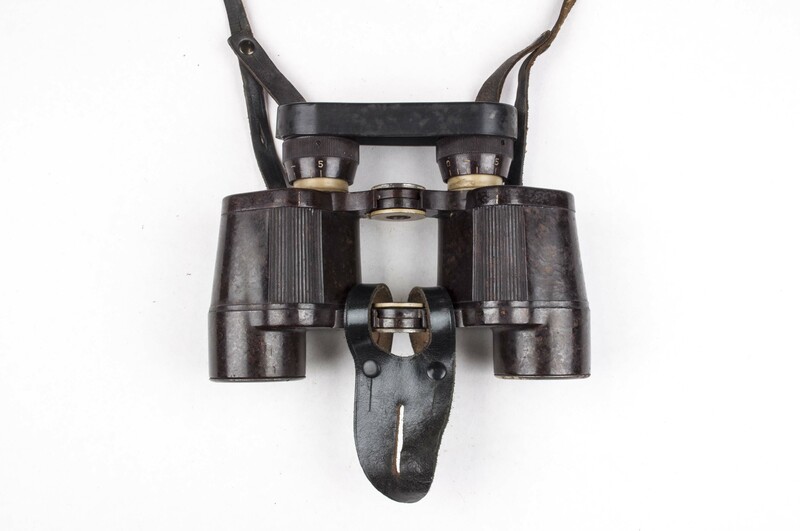 1 Knopflasche, a leather or presstoff piece of material meant to strap the binoculars to a button on the tunic. 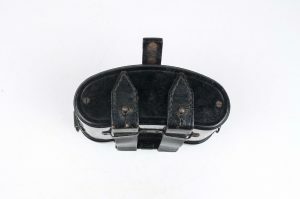 It is fastened with one or two metal studs. 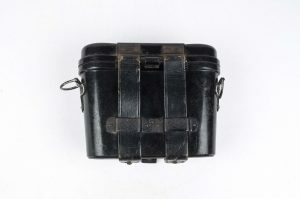 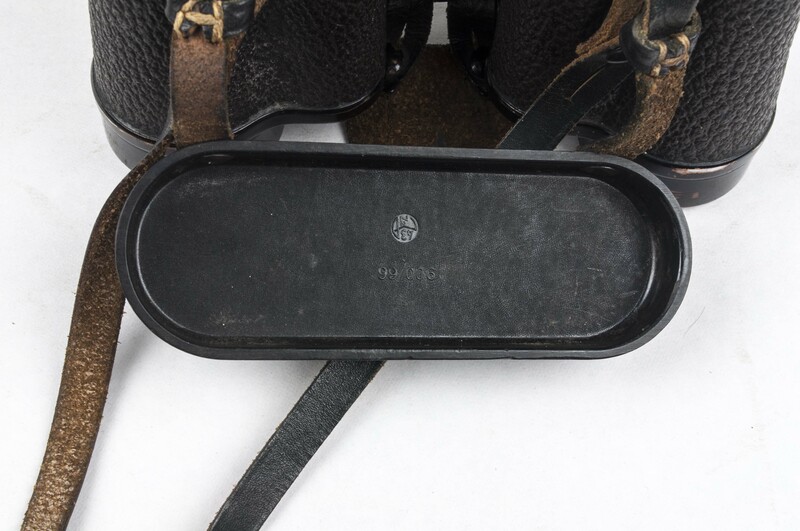 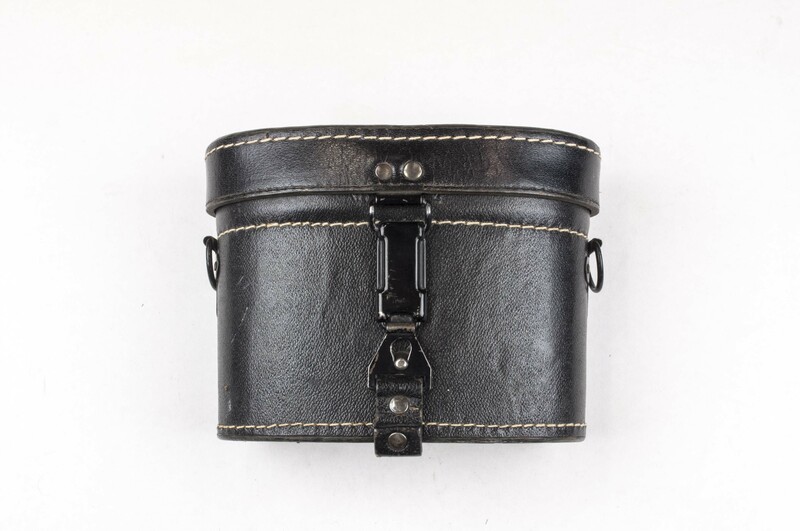 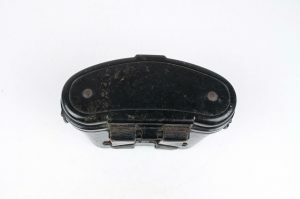 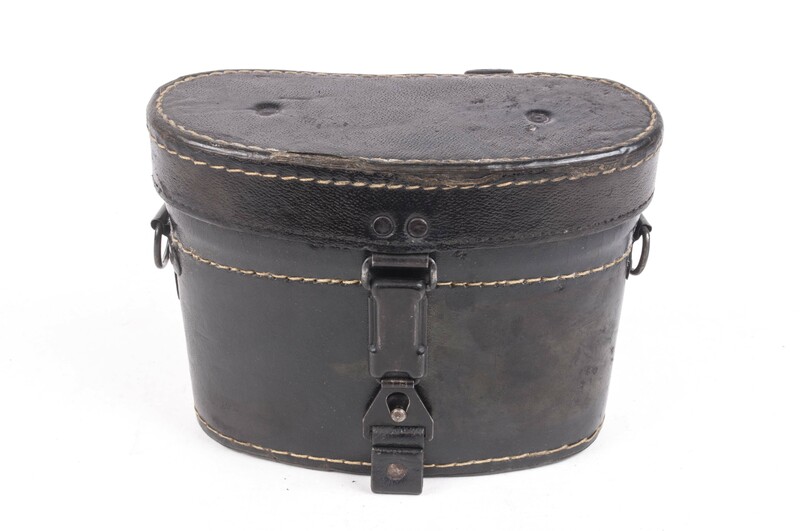 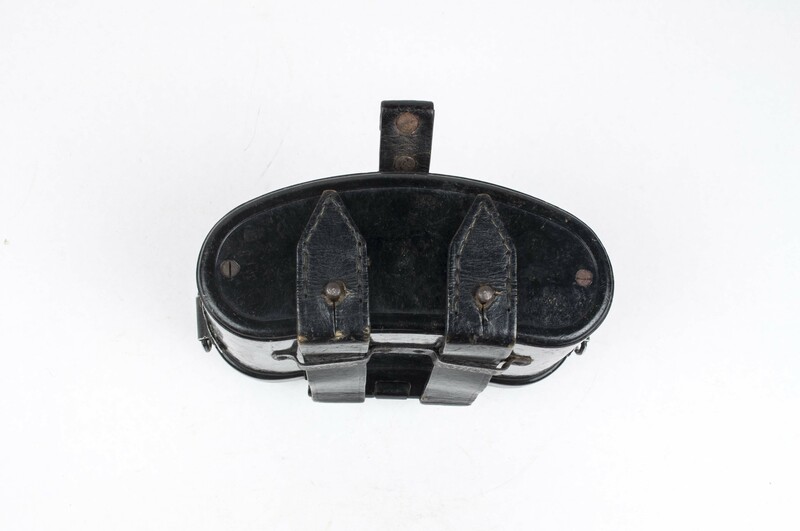 1 Behalter, a leather, bakelite or Presstoff case to protect the binoculars in transit. This case has a loop on the back to be carried on the equipment belt and a strap to be slung over the shoulder. 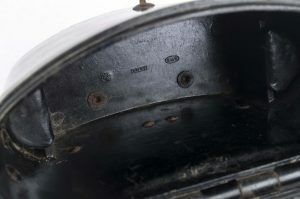 Markings: HENSOLDT – WETZLAR – 6 x 30 – Waffenamt on the lower bridges. Rain cover: Bakelite with stitched leather attachment. 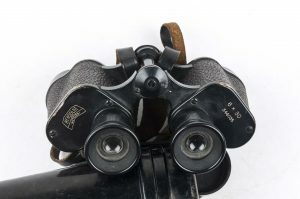 Notes: This prewar set lacks the Dienstglas marking but is marked with two prewar Waffenamt markings on the lower bridge.